The most FLEXable sensor you'll every use. Indoor and Outdoor! The FLEX can be wall, ceiling, and corner mounted. 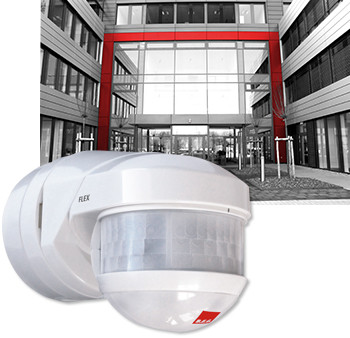 The FLEX features dual passive infrared sensors. One looking straight out to detect movement towards the sensor and the second looking straight down for total coverage. Nothing is as flexible as the FLEX! Added security and peace of mind!